It’s that time in the legislative session when public hearings are happening daily. Numerous proposed health care-related bills are getting a day on the policy stage, vying for enough support to move out of committee and onto the floor of the House or Senate for full debate. Vested interests and professional advocates are sure to weigh in – but rarely do everyday people brave the public hearing process. There are many reasons for the lack of consumer input, which highlight a serious flaw in the way legislators weigh the merits of proposed legislation. 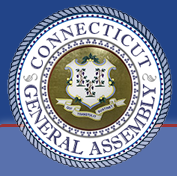 Universal Health Care Foundation of Connecticut submitted testimony on several bills this week. You can read our testimony here. HB 5325 requires for-profit hospitals to abide by the same standard applied to nonprofit hospitals to complete a Community Health Needs Assessment every three years. This helps ensure that all hospitals operating in the state maintain connections to the communities they serve and develop plans to address local health care needs. HB 5324 takes steps to more clearly define “urgent care clinics,” in order to best serve the patients who use these facilities and protect against unnecessary costs. SB 9 & SB 413 open up health insurance rate review to a more robust, consumer-oriented input process. To-date, insurance premium rate approval has been the opposite of consumer-friendly. These bills represent a step in the right direction. We’ll keep you updated on these and other bills as they move through the legislative process. This entry was posted in From the Foundation, Lynne Ide and tagged Legislative. Bookmark the permalink. We talk about fixing, or improving the current health care “system” in CT. I think we need to stop using the word ‘system.’ The word implies a there is an organized whole comprised of elements working interactively and/or in parrallel towards a common goal. This requires considerable communication, interdependencies, collaboration, and cybernetic feedback both from internal and external sources to make adjustments as needed to achieve optimal performance. Obviously the purpose of a omnibus bill is a start to create that. The human body is actually a collection of systems, and is a great example of the interdependency of these systems to the survival on the individual, and thus the survival of the human species. The health care system should be an evolutionary enhancement that helps individuals achieve and maintain their inalienable rights to life, liberty and the pursuit of happiness. Not a opportunistic institution that preys on the sick for profit. While profit is not contrary to achieving success, it should not be done at the expense of its consumers with inelastic economies that threaten their safety and security. It is obscene, for example, that medical providers can turn their patients to collection agencies, and consumer have little recourse. This, I think, is surely a symptom of fragmented providers severely fractured, and have forgotten that to heal is to make whole… Both individually and collectively.